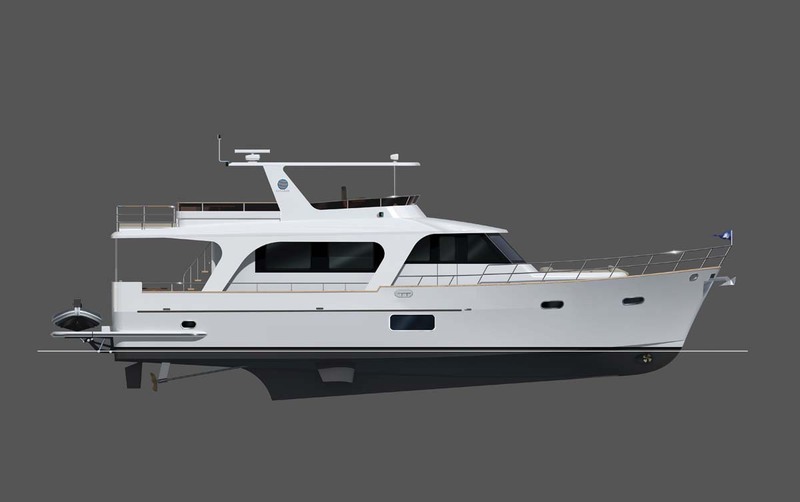 The builder’s new flagship is a departure from tradition: a motoryacht without a pilothouse. 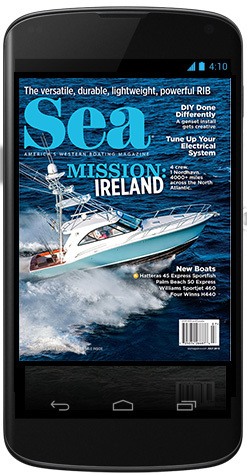 It’s always exciting when a boat builder introduces a new series of yachts to its lineup. And when the first yacht in that series is also the flagship for the entire lineup, the excitement level gets amped up. Throw in the fact that the new flagship is also a new style of yacht, and things can get really interesting. 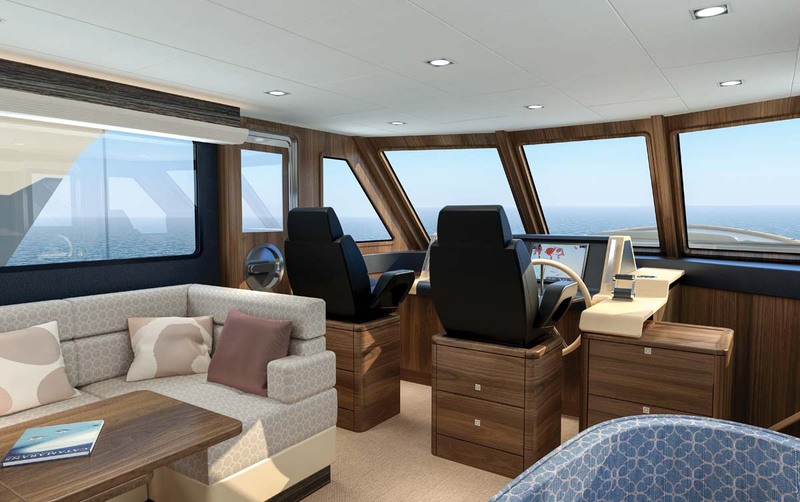 Such is the case with the North Pacific 62 Explorer, the first yacht in the builder’s Explorer series, which will feature motoryachts, not pilothouse yachts. 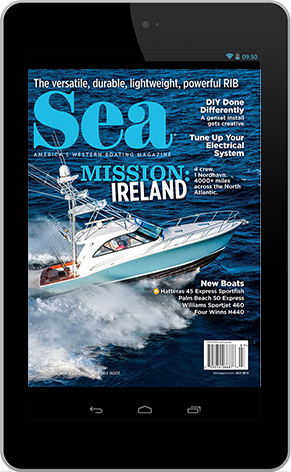 Two of the differences between the Explorer line and other North Pacific yachts — a sleeker look and a more modern interior — are visible to the discerning eye, while the other big difference — increased speed — can only be experienced underway. It’s amazing what an aft-sloping windshield vs. a forward-canted one does for a yacht’s appearance, making it look sleeker and faster, and longer windows in the hull and the cabin house add to the effect. In the main cabin, the galley is aft and the salon is forward, directly aft of the helm station, where twin captain’s chairs front a console with room for two of the larger MFDs out there. Two barrel chairs are opposite the salon settee, which wraps around three sides of a dining table. Belowdecks are three staterooms, including a full-bean en suite master, a bow VIP and a guest room to port. The forward two rooms share a head that includes an enclosed shower stall. The master head is a three-section affair with the toilet in its own room aft, a countertop and sink in the middle and a shower stall forward. 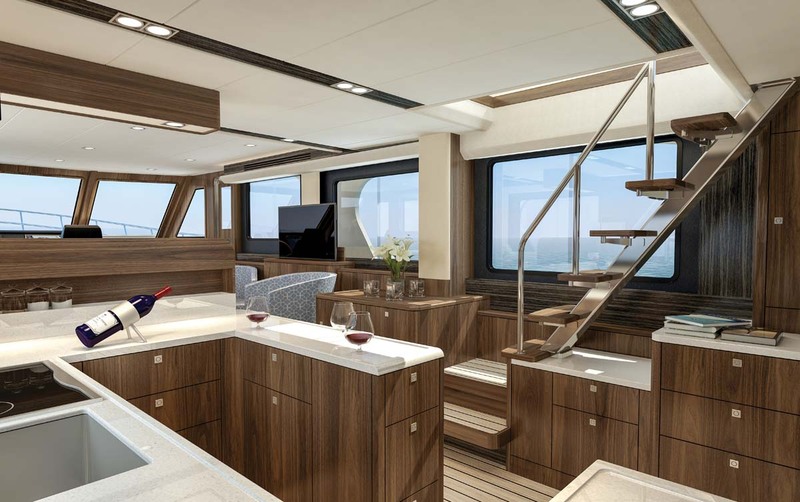 Up on the flybridge is a second helm, a large sunpad beside the helm and under the hardtop, a C-shaped settee with a table to port, a wet bar and a second sunpad aft, out from under cover of the hardtop, for the true sun-seekers. A third sunpad is in the bow forward of the main cabin. It shares its space with a bench settee that faces forward, creating a nice outdoor social space. 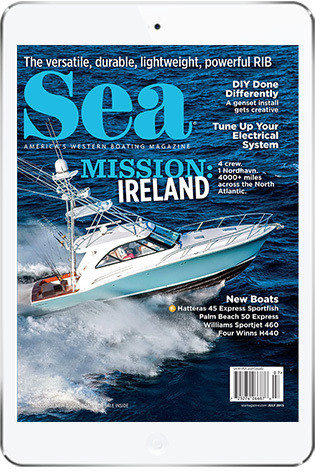 While there wasn’t a 62E in the water as of press time, builder literature says the yacht will cruise easily in the high teens and reach a top speed of about 22 knots. LOA 63 ft., 9 in. Beam 16 ft., 5 in. This entry was posted in Snapshot by bsheehy. Bookmark the permalink.